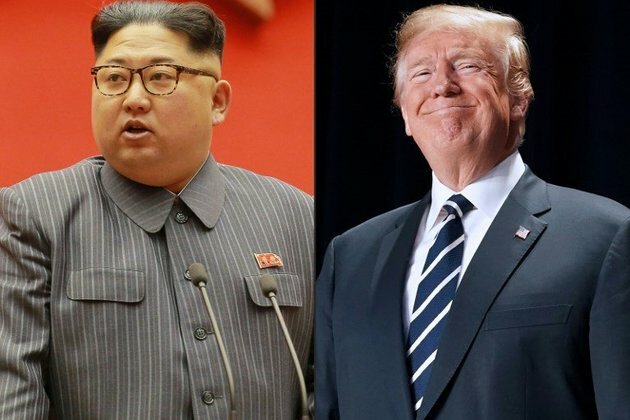 The United States and North Korea will have to do "some hard work" in the lead-up to the upcoming US-North Korea leaders' summit, the top US envoy for North Korea said after holding talks in Pyongyang. Stephen Biegun held three days of talks in the North Korean capital and agreed to meet his counterpart Kim Hyok Chol again ahead of the summit, the State Department said on Friday. Speaking before meeting with the South Korean Foreign Minister kang Kyung-wha on Saturday, Biegun said his talks in Pyongyang had been productive, but more dialogue was needed ahead of the summit. "We have some hard work to do with the DPRK between now and then," Biegun said in Seoul. During the talks, Biegun and Kim Hyok Chol "discussed advancing President Trump and Chairperson Kim's Singapore summit commitments of complete denuclearisation, transforming US-DPRK relations, and building a lasting peace on the Korean Peninsula," the State Department said, referring to North Korea by the acronym for its official name, the Democratic People's Republic of Korea. US President Donald Trump hailed the preparatory talks as "very productive". "My representatives have just left North Korea after a very productive meeting and an agreed upon time and date for the second Summit with Kim Jong Un. It will take place in Hanoi, Vietnam, on February 27 & 28," Trump said in a Twitter post on Friday. Trump had announced the dates for the second summit with Kim on Tuesday, and said it would be held in Vietnam, but the city had not been disclosed. At their landmark summit in Singapore last year, the US and North Korean leaders produced a vaguely worded document in which Kim pledged to work towards "the denuclearisation of the Korean Peninsula". But progress has since stalled, with the two sides disagreeing over what that means. Experts say tangible progress on Pyongyang's nuclear weapons will be needed for the second summit if it is to avoid being dismissed as "reality TV". Experts say the most likely scenario in Vietnam is that the concerned parties - North and South Korea, the US, and China - would declare a formal end to the war as a political statement. They also say Kim is determined to win relief from US-led sanctions to help revive his country's troubled economy, while Trump, faced with domestic problems such as the investigation into alleged Russian interference in the 2016 presidential election, wants foreign policy achievements. In a post, Trump said that North Korea would become an "economic powerhouse" under Kim. "North Korea, under the leadership of Kim Jong Un, will become a great Economic Powerhouse," Trump tweeted. "He may surprise some but he won't surprise me, because I have gotten to know him & fully understand how capable he is." The US leader announced the plan for his second meeting with Kim in his annual State of the Union address on Tuesday. He said much work remained to be done in the push for peace with North Korea, but cited the halt in its nuclear testing and no new missile launches in 15 months as proof of progress.